Lot 153 Brass Oval Steam Locomotive Worksplate. 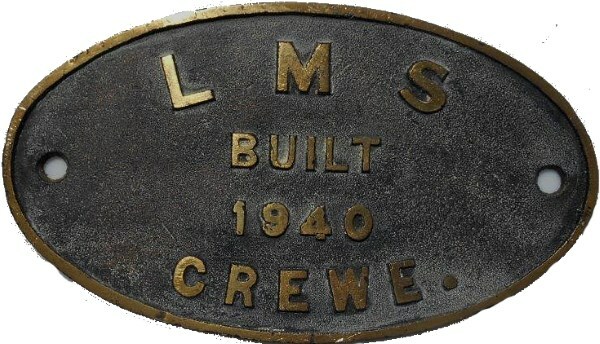 "LMS - BUILT 1940 CREWE". Restored condition.